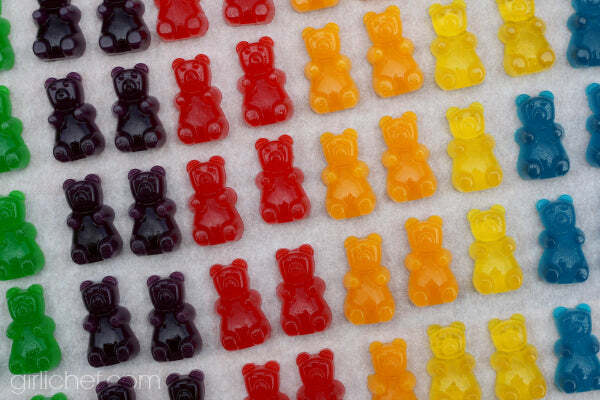 Do you love gummy bears as much as we do? That is to say, have you walked to the nearest convenience store in below freezing weather just to buy a bag — and then eat the entire thing on the way home? Further, did you learn your lesson and buy two bags the next time, so you had one for when you did get home? As bulk candy wholesalers, you can imagine we are pretty big gummy bear fans here at CandyStore.com. And we want to share our love with you. For the past few weeks we’ve rounded up every interesting thing we could find about gummies. Here it is for all of you to enjoy. If you read our post about Haribo gummies, you know that Hans Riegel, founder of Haribo, created the original gummy bear. It wasn’t the first gelatin-based candy on the market, but it certainly made an impact. By the early 1940s they were producing 10 tons of gummy bears (or gummibärs, in German) per day. After World War II, Haribo rallied to overtake and acquire many of its competitors, becoming a European candy empire. Yet they didn’t make it to the United States until 1982, which doesn’t seem like that long a stateside tenure. The show lasted much longer than I remember, probably because I was “too cool” for it by 1988 or so. Still, it ran until 1991, an impressive run for what I remember to be a not so impressive show. If you google “gummibär” you’ll get results featuring an animated gummy-looking bear. According to its website, “Gummibär is the most popular animated character on the internet and the most viewed independent music artist on YouTube ever!” Apparently that description is exaggerated and outdated. Who would have thought? Crazy as it migth sound, bears owned the gummy market for quite a while. The next-best-known gummy shape, the gummy worm, didn’t debut until 1981, 60 years after Riegel produced his first gummy bears. Other gummies became popular around the world before that, though, including frogs, a personal favorite. Australians have been nibbling on them, along with gummy teeth, since the 1930s. Many other varieties, such as Trolli’s Road Kill Gummies, didn’t last that long. Once the ingredients are mixed, the resulting liquid is cooked until it thickens into what manufacturers call a slurry. The slurry is then poured into molds for shaping. Gummy bears would be poured into bear-shaped molds, of course. There are many different types of shapes for gummy candies, though. One of the most popular you’re probably familiar with is the gummy worm. Not sure about you, but I cringe every time I see the word “slurry.” It just sounds disgusting, even though in reality it’s not. If the mass manufacturing process of gummy bears turns you off, you can pretty easily make your own. Same goes for gummy worms, and all things gummy. Depending on your diet, you could need as few as two ingredients: unflavored gelatin and a boxed gelatin dessert, such as Jell-O. 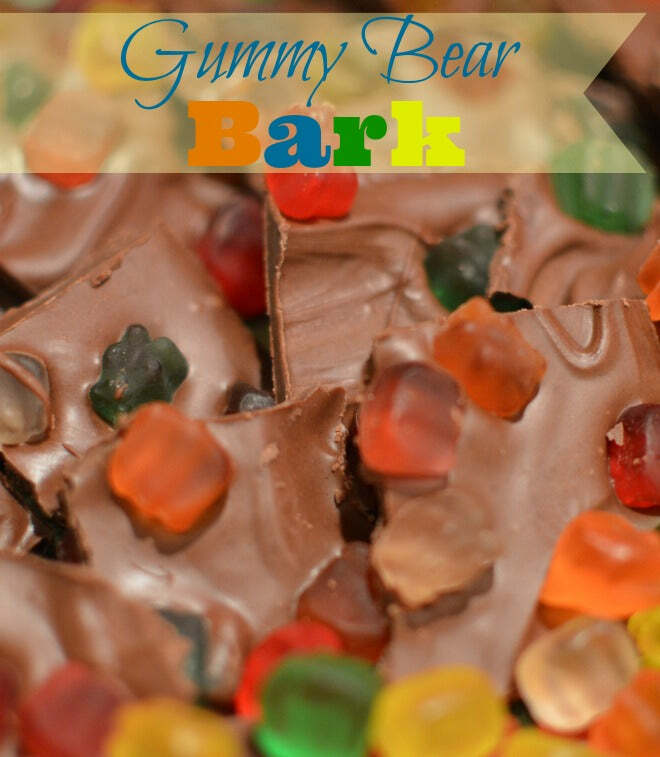 Check out this particularly delectable homemade gummy bear recipe from Heather at Girlichef. For just a few dollars and a few minutes of your time you can make gummy bears in your own kitchen, no mass production required. 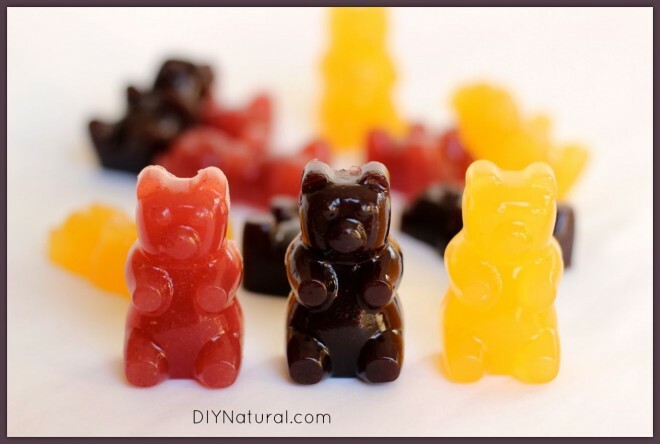 Making your own gummy bears means that you can take a healthy route if that’s your thing. Don’t want the corn-syrup-based sugar in a box of Jell-O? You’ll have to make a few modifications, since you’re removing the gelatin-based dessert, but you can still make delicious homemade treats. An extremely popular recipe at DIY Naturals gives you the goods. Pureed fruit and local honey give these some body and sweetness. The blog The Naked Kitchen has an alternative, which omits gelatin and instead uses agar agar powder. Looking for a sugar-free version? ChefSteps has a recipe featuring the sugar alcohol sorbitol, which it claims “is vital to this recipe, lending the gummies their springy quality.” Wholesome Cook has an alternative featuring the sweetener natvia, which combines stevia and the sugar alcohol erythritol. Of course, if you read our post on sugar free candies, you might think twice before adding sugar alcohols to your homemade candies. If the kitchen isn’t your thing, you can check out some (relatively) healthy gummy bears from Surf Sweets. What varieties do people prefer? People seem to prefer variety in their gummy bears. Of our top-five selling gummy bears, three are variety packs. Yet the biggest seller, by no small margin (60 percent more than No. 2), is the gourmet 12-flavor gummy bears. That’s more than double the number of flavors in the ubiquitous Haribo Gold Bears. In fact, even if you combined sales for the Gold Bears 5-pound bulk pack and the Gold Bear mini bags, it still wouldn’t equal the sales of the 12-flavor bears. 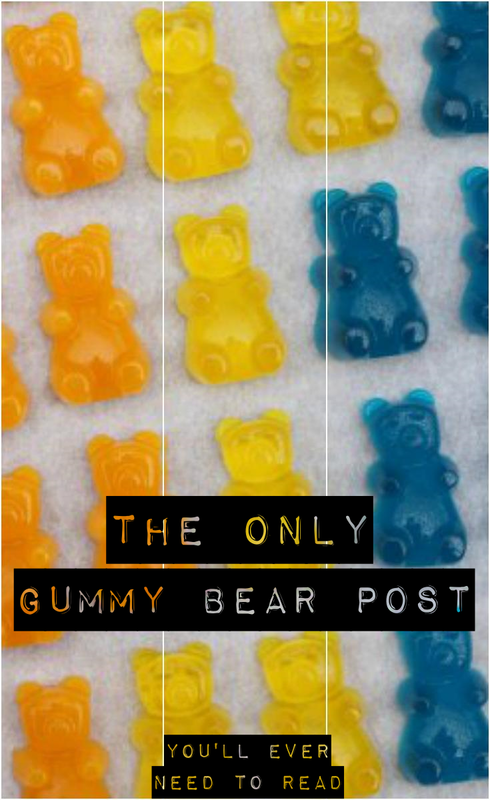 As we mention right on our homepage, blue raspberry gummy bears are the most popular among individual flavors. That’s probably because blue is the most popular color, and bulk gummy bears often act as decor for events such as parties and weddings. 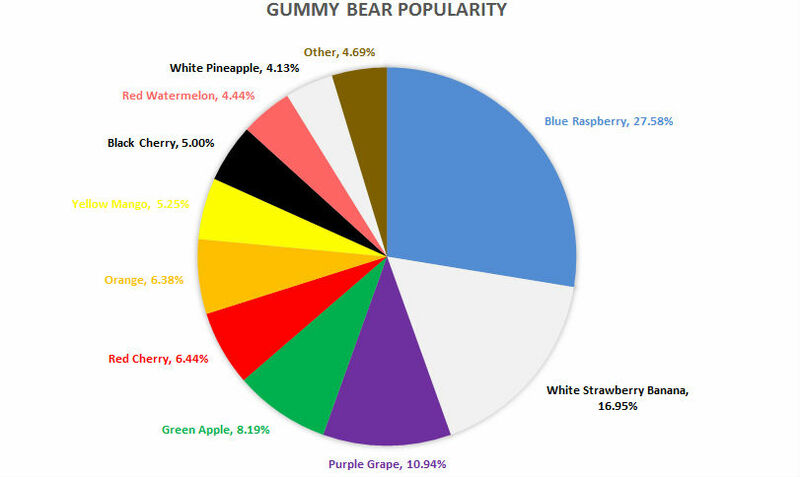 Just how popular is blue raspberry compared to other bulk gummy bear flavors? Behold. Again, since we’re dealing with bulk, many of these answers relate to party themes. Blue and clear work particularly well. This highly unscientific poll suggests that clear and red are the favorites, though there two flavors each for red and white gummy bears. Green, which is apple flavored in bulk and strawberry in most variety packs, appears nearly as popular. Note that blue gummy bears do not come in your typical Black Forest or Haribo Gold Bear packs, and so there’s some discrimination going on there too. While we love eating gummy bears by the handful, there is plenty you can do with them besites stuff them down your gullet. 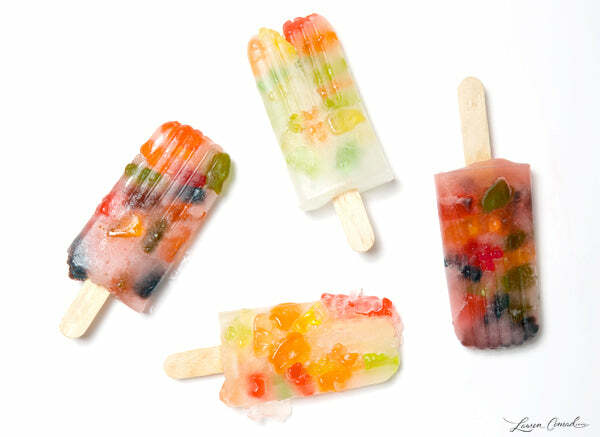 Allison at LaurenConrad.com presents some bright and colorful gummy bear popsicles. All you need are some popsicle molds, popsicle sticks, gummy bears, and either some coconut water or Gatorade. Yes, the bears will freeze, but they soften once you start eating them. Is there anything you can’t improve by covering it in chocolate? Tonia at The Gunny Sack tries it out for gummy bears, to delicious results. 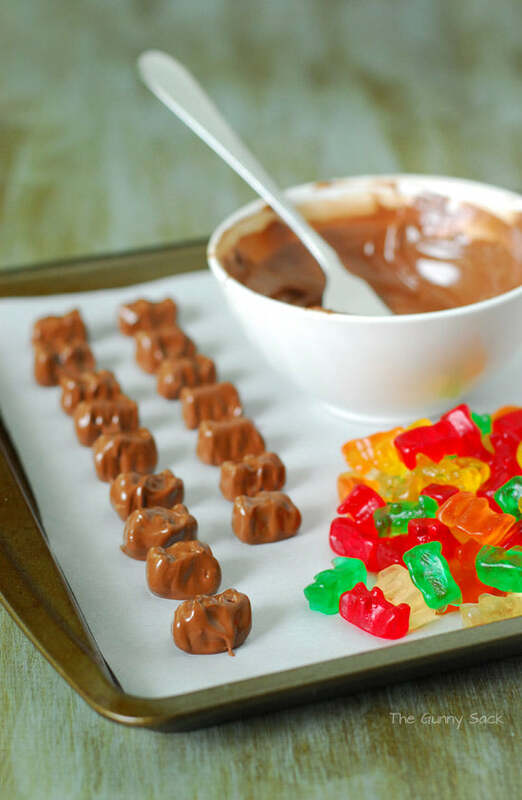 If you think about it, covering gummy bears in chocolate isn’t all that odd. There are plenty of jelly-filled chocolates out there. And what would you rather eat, jellies or gummies? We thought so. Instead of covering the bears in chocolate, you could just mix them up with a bunch of chocolate, like Amy at Little Dairy on the Prairie did. 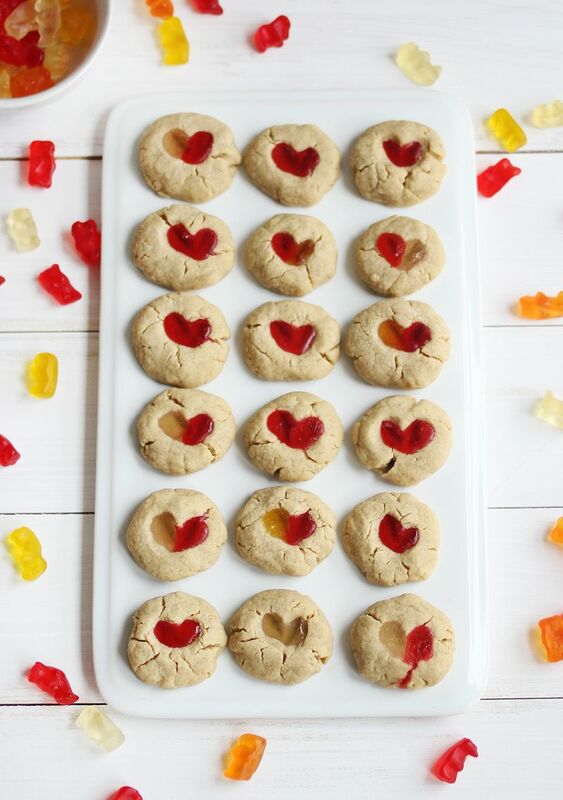 Much as we love chocolate, Emma at A Beautiful Mess might have an even better idea: Gummy bear cookies. They don’t look much like bears when they’re through, of course, but melting them down is half the fun. Not all gummy bears are created equal. Haribo, for instance, still keeps its recipe secret. So when you indulge in Black Forest gummy bears, you’re not getting precisely the same product as Haribo. Everyone’s recipes vary just a bit — which is great, because it gives us a variety of gummies. The gummies were considerably different in color, texture, and flavor. Color was the first noticeable one: The American ones, made with artificial colors, were more vivid than the German ones, which are made with natural colors. Texture-wise, the American ones were much softer and easier to chew than the slightly tougher, more jaw-tiring German ones. The German bears generally had a more pronounced flavor that was closer to real fruit than the American ones. Cybele at CandyBlog.net decided to cross brands and do a Trolli vs. Haribo taste test. For Americans, these are the originals. Trolli developed the gummy worm in 1981, and Haribo came stateside a year later. So what did she find? This one was a bit more subjective than Serious Eats’s test, but you can find useful nuggets in her review. The long-and-short: Trolli bears are softer, but Haribo’s bears have more disctinctive flavors. Before we wrap up, how about a little fun? THe blog Science for Kids Blog took four liquids — water, salt water, vinegar, and baking soda — and dropped a gummy bear into each. You’ll want to see how they came out. Are gummy bears…healthy? OK, we can’t go that far. But they might be good post-workout fuel. They provide a nice jolt of glycogen, which can help you recover and also deliver protein to damaged muscles. If you drop agummy bear into heated potassium chlorate, you’ll get some neat results. I made some wine ones last night! Just replaced the fruit juice with wine, then added sugar and gelatin! Working on the consistency, but they turned out pretty good! Next trial will be a margarita gummy bear recipe I saw online. Lots of possibilities! I made gummies with alcohol once and it has to be an acquired taste.